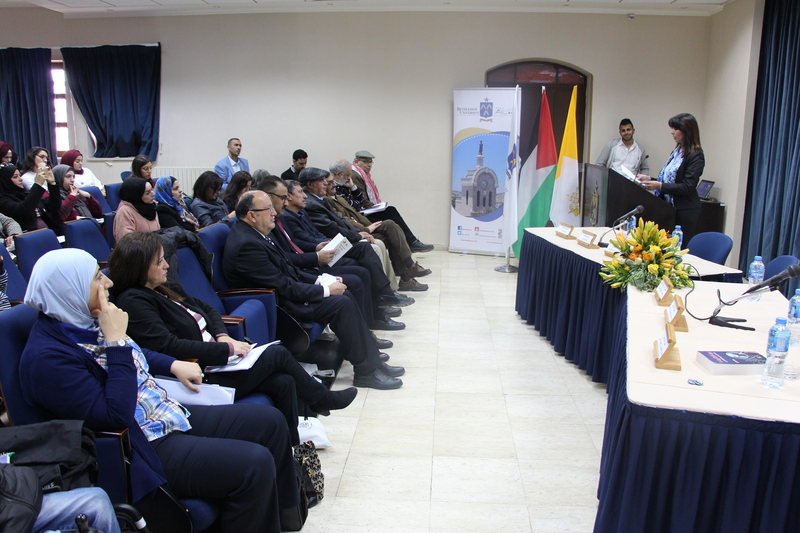 The Social Sciences Department at Bethlehem University held its seventh annual conference entitled “Development in Palestine: Trends and Alternatives” sponsored by the United Palestinian Appeal (UPA) on Tuesday, 02 April 2019. This year's conference aimed at creating a thinking space to deal with and criticize development concepts. It highlighted successful development experiences as an alternative in the colonial context. The conference also aimed to activate the role of academic and research institutions in providing development perceptions based on the disposal of liberal hegemony and colonialism. After the Palestinian national anthem, Associate Professor, Dr. Bilal Salameh, welcomed the attendees. Executive Vice President, Dr. Michael Sansour, thanked the UPA for their continuous support of Bethlehem University especially in sponsoring this conference. He stressed the importance of addressing the issue of development in Palestine in addition to studying the available trends and alternatives. Chairperson of the Social Sciences Department, Dr. Ferdoos Abed Rabbo Al-Issa, spoke in the opening session about the trends problem that promote dependency and constitute a work program that seeks to reduce the quality of life of the already crushed segments. She pointed out that some countries have adopted reform programs financed by the World Bank. However, these programs did not reflect the real needs of these countries, which led to their failure. This indicates the importance of discussing this issue in the Palestinian reality that comes in the same context. The conference had three main sessions including an introductory session; a session on development as a way to promote community resilience; and a third session on community work and volunteering.